Part 1: Why Do Interviewers Ask Reasons for Leaving a Job? Part 2: How Can Interviewers Ask You? Are you looking for a good reason to leave your job to tell your prospective employer or boss? When you are going to a new position or applying for a different job, one question you’ll have to answer is why you are leaving or have left your job. Your boss might want to know why you are resigning and your next employer will want to know why you’ve moved on. Was your reason of leaving a good one? If you’ve left for an odd reason or on a whim (maybe you thought your boss was an alien who was plotting your death), the interviewer will wonder if they can even trust you to be loyal, responsible and reasonable. Was your leaving voluntary? If you were fired, the interviewer will want to determine if it was for any integrity or performance issues. Was your leaving on good terms? If you can say that you are still in touch with your previous employer (better yet, they are one of your references), this will go quite far in showing that you were a valuable employee with good relationship skills. They will want to know your work values. Why you left a job can say a lot about you. Had you left because you felt unappreciated or felt slighted, or did you have a positive reason? Sometimes, it makes sense to leave a job if you are underappreciated, however remember that this needs to be expressed skillfully so you don’t sound like a diva. What is making you seek a new position at this time? This is for candidates who are currently employed and thinking about a job change. Why have you left your last position? This is for candidates who aren’t employed currently but have experience. You might have quit your last job or have been laid off. Or perhaps you are a new graduate who is making a transition from an internship or part-time job for a real career-track job. What was the reason you left your position? The position that interviewers will be most interested in is your last or most current position. You should, however, be ready to talk about all of your previous job changes, especially if you were only there for a short time or you have a gap in your resume. It is easy to state that you were looking for a change in role and you wanted more growth, or that your position was even getting stagnant. This could be an acceptable reason for leaving your job, but it definitely does not give you any leeway to criticize that job. Basic dissatisfaction in your career path is one reason. Don’t forget that it isn’t about one particular company or department, but your career as a whole. This reason can hold true if you’ve got a rich career profile and you are applying for a job in a new profession. This is one of most simple and common reasons that your job was at a standstill and you therefore wanted to find newer avenues and challenges which were greater. Company restructuring is another common reason today. 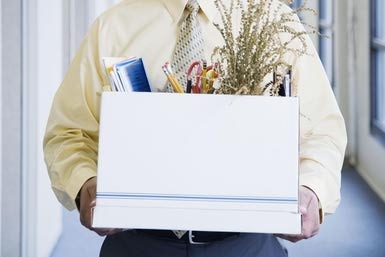 Several employees can be laid off during a company restructure. Even if you have not been directly let go, no one would therefore blame you if you’re looking for avenues since your colleagues or other department has been let go. Relocation is more often than not another reason which is widely accepted by a company as a reason for you to find another job. Enhancement of abilities and education is another reason that can be given. If you’ve recently gotten a degree and have chosen to use your education to enhance your professional profile, this would be a good reason to give. Even reasons that relate to your daily commute are sometimes given, such as too much time commuting from where you work to your home, and much less time spending it with family can be thought of to be a good reason for leaving a job. As far as it goes for women, when they are expecting a child they’d give a preference for family first. Most women want to take care of their newborn child for a few years at the least, before they are ready to go back into the working world. If you can get the wanted amount of leave and come back later, then this is the best option. Everyone works to earn money, and we all look for the highest paying job. This is the most genuine and first reason for leaving a current job. If you’ve been offered a chance to earn more, it is only natural that you’d want to accept it. Don’t forget that you cannot lie about the reason for leaving your job. In today’s world of references and cross references, discovering the real reason you left your job is as easy as dialing a phone number. It is proven that the main reason for someone leaving a job is other people. Interviews realize this but do not want to hear about it. They also understand it takes two. If you start discussing anything in relation to difficulties with others, this will leave them wondering what your role was, and that is dangerous for you. The past is now old news, and you are in the interview because of the future. Center your discussion on the fact that you’re heading towards something exciting and new, not away from your current position. This could require a small shift in the way you talk, but have enormous results. Something like, “Here the opportunities for growth seem to have no bounds,” is better than saying the opposite about your old position. Knowing job candidates are looking to better themselves is well-loved by interviewers. This shows them you could be well worth a long-term hire with the correct support, and could be someone who can grow with their company. It is always wise to make your point of a career move to be self-improvement, whether you want to learn a new set of skills or you are looking for career advancement opportunities. Bear in mind that when you leave a job you can negotiate sometimes with the employer about how the nature of your departure will be represented to employers in the future, therefore avoiding a portion of the tricky application issues that could arise.